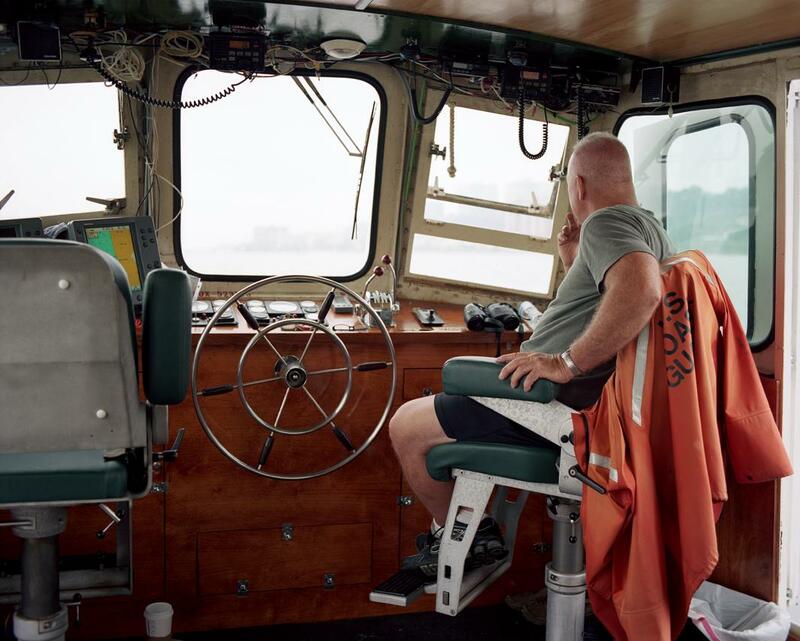 Susannah Ray photographs life along the New York City waterfront in her series, A Further Shore. 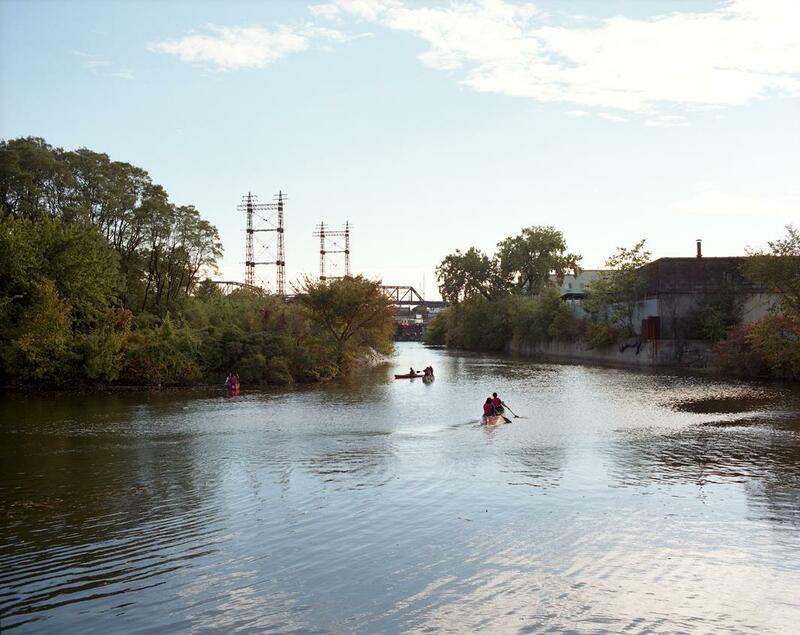 Canoes on the Bronx River, 2013. 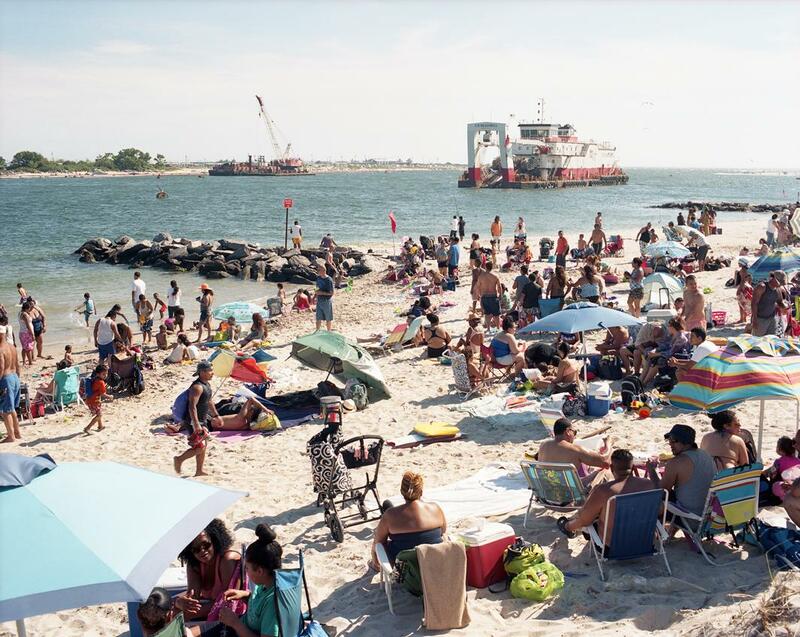 Living on the Rockaway Peninsula in Queens, Susannah Ray’s daily life is defined by water. During Hurricane Sandy, that fact was cause for devastation, a theme she explored in her multimedia project with Jen Poyant, What Are the Wild Waves Saying: Storm Stories From the Rockaways. But in 2013, as the area rebuilt, she started seeing the water differently—as a bastion of peace and relaxation in a demanding city. “New York City is a very challenging place to live, particularly for those without means, and yet the water in most places is free to access. It is really a space of escape. Even the most marginal shorelines are utilized as places to fish or sit or daydream,” she said via email. Captain Greg Porteus, Launch 5, 2014. 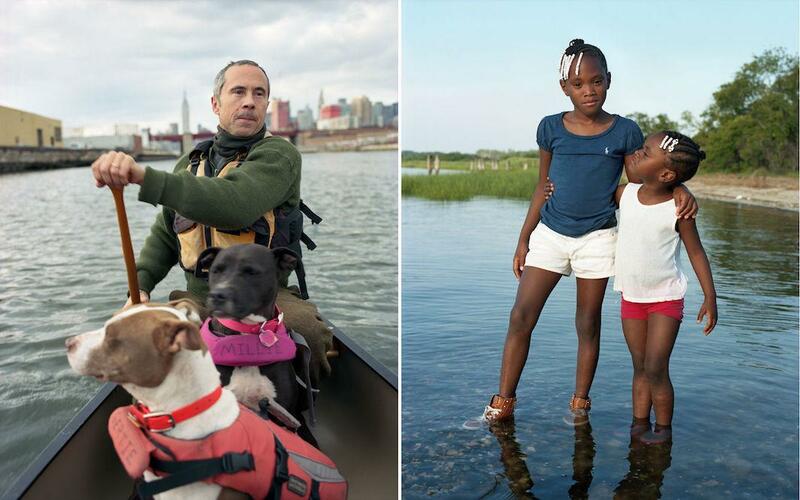 Left: Jens, Millie, and Gertie, Newtown Creek, 2013. Right: Sisters, Jamaica Bay, Queens, 2013. You might hear a highway humming in the background, Ray said, but time spent along the water represents a valuable break from the buzzing urban landscape. In Ray’s series, “A Further Shore,” which is on display at Albright College’s Freedman Gallery in Reading, Pennsylvania, until May 22, she captures New Yorkers swimming, boating, and otherwise enjoying themselves in tranquil scenes of natural beauty. “People will find the water wherever they can. Once you get out of Manhattan and the gentrified Brooklyn waterfront, the waterways are often crumbling or neglected. Yet people gravitate there anyway,” she said. Ray spent more than two years making the series, focusing on locations she often spotted while driving along the water or across it in Brooklyn, Queens, Staten Island, and the Bronx. She made her first photo early one morning on the beach on the west side of the North Channel Bridge. Three fishermen in waders appeared through the pastel light, and the city could be seen in the distance over the rise of a landfill in Brooklyn. “That photograph encapsulated a lot of what I was looking for: a kind of luminous landscape as a frame for human use of the water with the presence of the urban environment visible but not necessarily paramount,” she said. 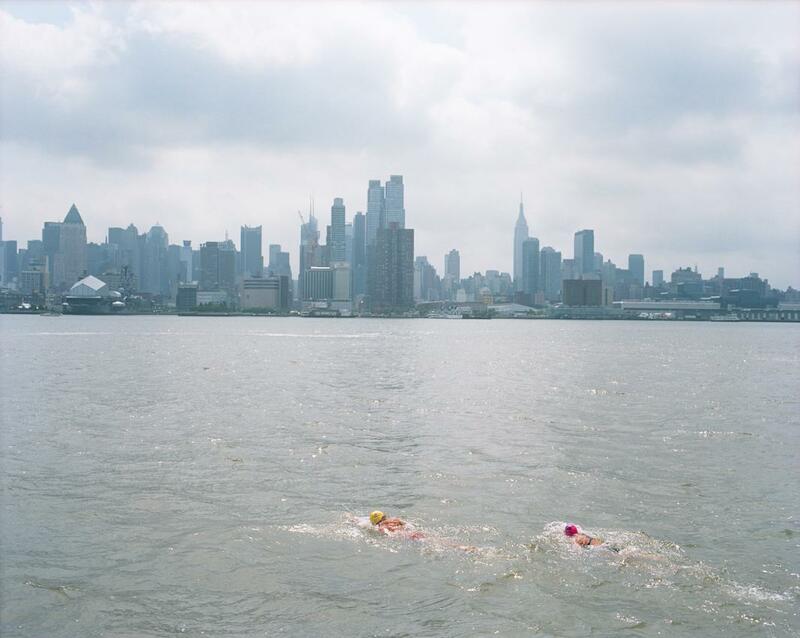 Swimmers, The Hudson River, 2014. Two Men and a Dog, Rockaway Inlet, Brooklyn, 2014. 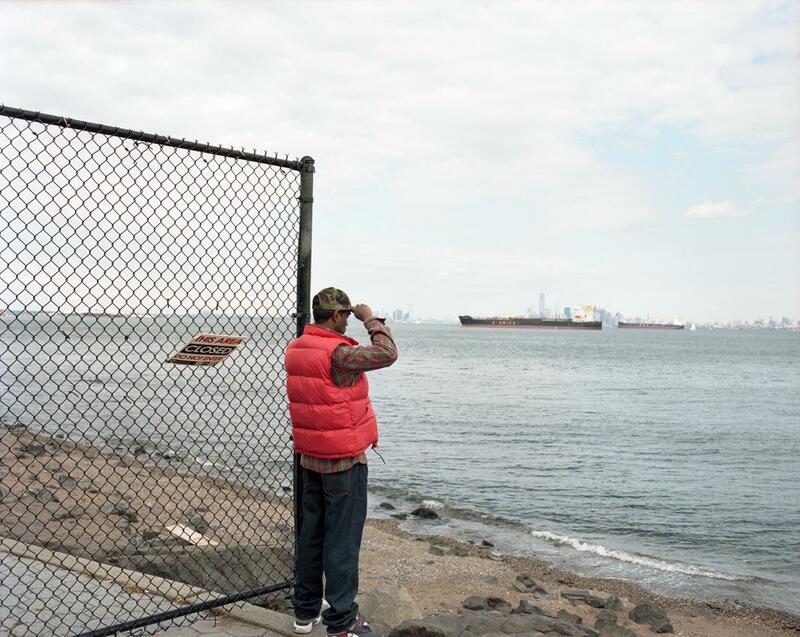 Looking to the Narrows, Staten Island, 2014. In a city that often seems to be marching toward the future, Ray found that time seemed suspended along the water. While her photos surely offer a view of modern New York, they also capture something unchanging about the city. 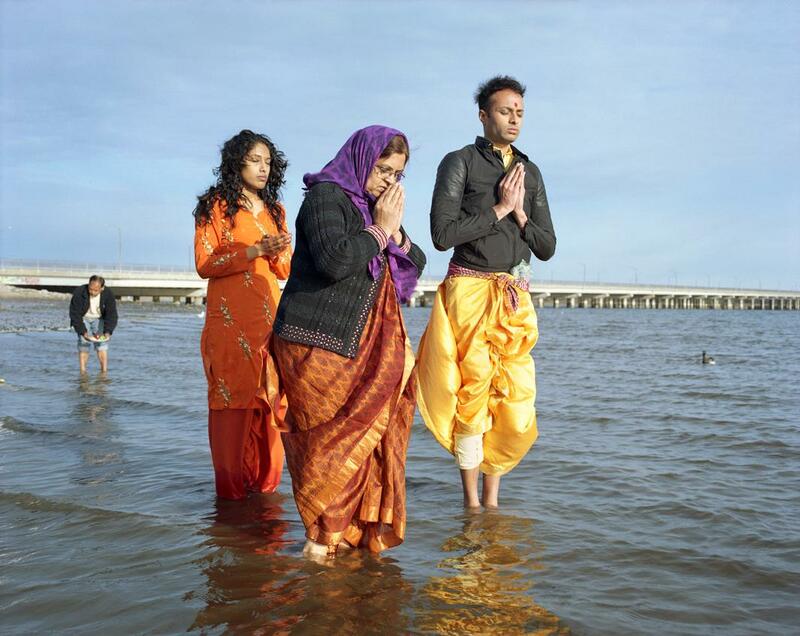 Prayers and Offerings, Jamaica Bay, Queens, 2014. 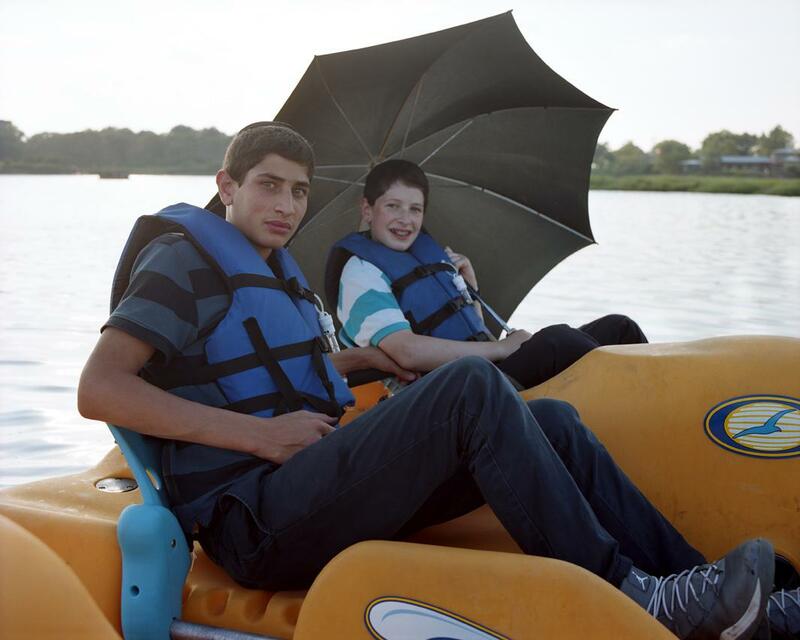 Two Boys in a Pedal Boat, Marine Park, Brooklyn, 2014.